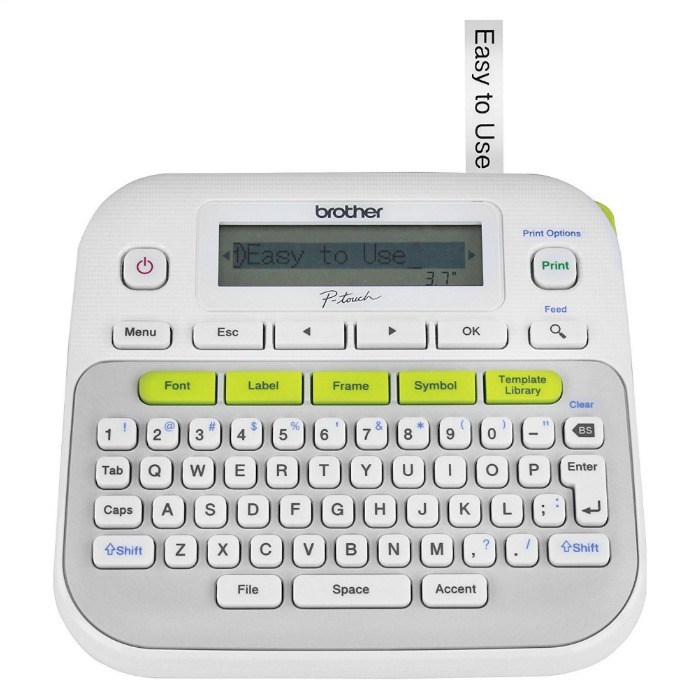 Brother P-Touch Label Maker Just $9.99! Down From $40! You are here: Home / Great Deals / Amazon Deals / Brother P-Touch Label Maker Just $9.99! Down From $40! Amazon has this Brother P-Touch Label Maker for just $9.99 (Reg. $40)! The P-touch PT-D210 makes it easy to create great-looking labels for your home and home office. With its convenient one-touch keys, you can quickly access fonts, symbols, frames and templates. Plus, you can preview your work on the display so that you know exactly how your label will look before you print.